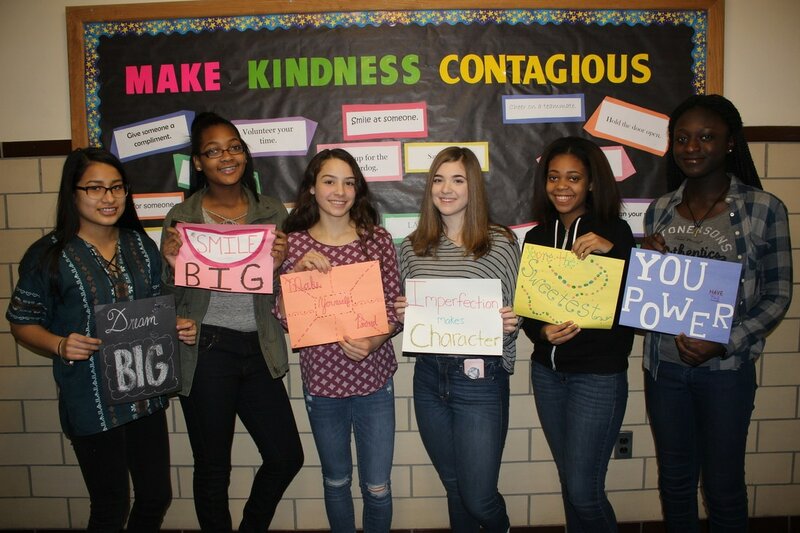 Members of Nottingham’s National Honor Society and Mrs. Kristin Stinson’s ninth grade classes found a way to "Make Kindness Contagious." 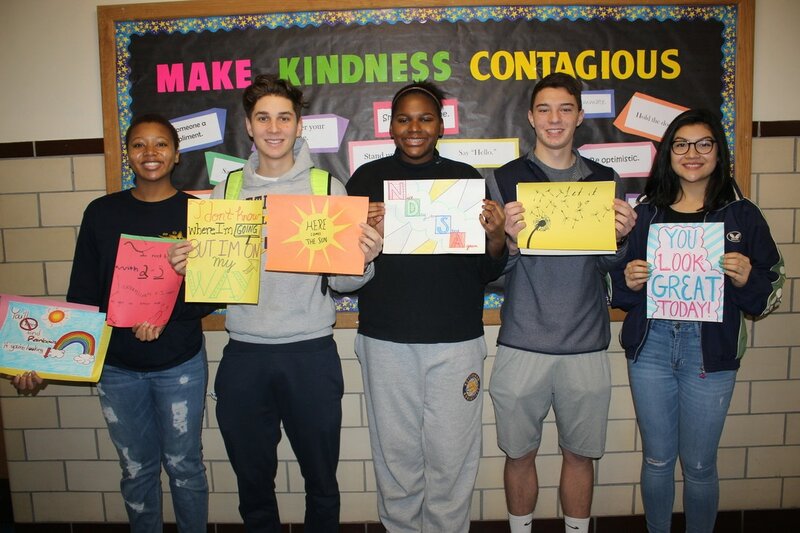 Students worked on creating posters in an effort to share words of inspiration and positivity. 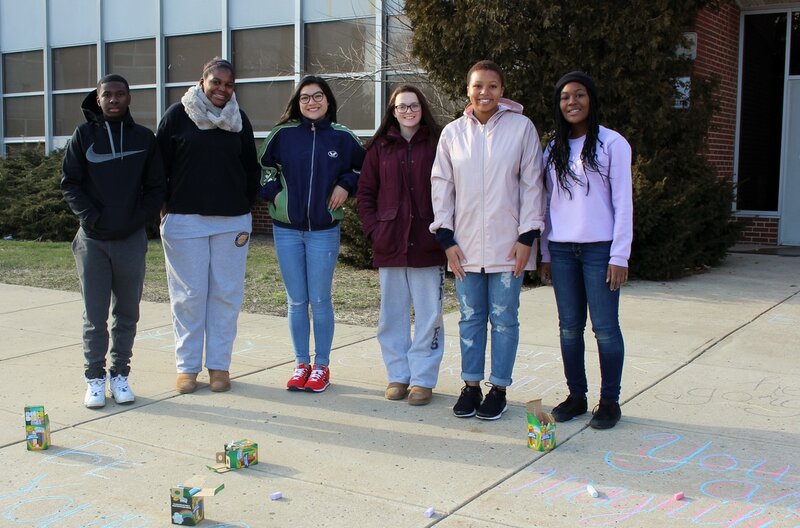 In addition, messages were scribbled on the sidewalk. 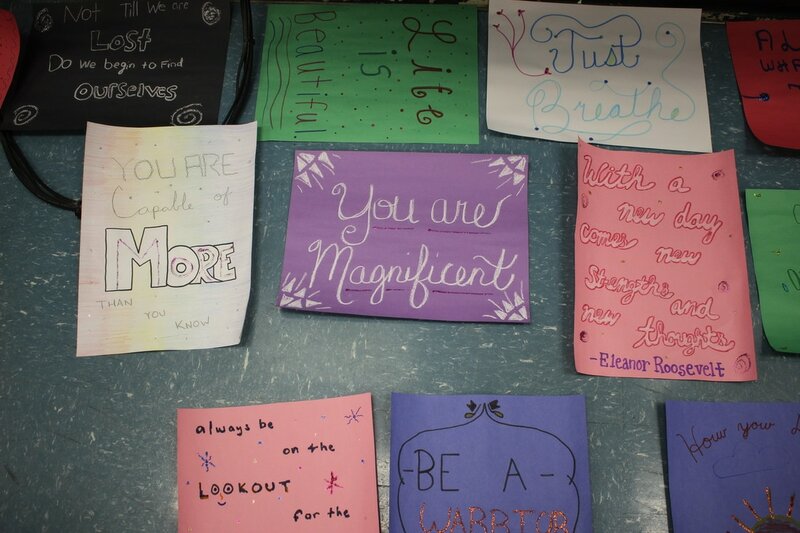 As students arrived at Nottingham, they were greeted by, “Hello Gorgeous” and “You were made to be Awesome.” Hopefully, their small act of kindness spread to others.